What we previously referred to as an ALTA/ACSM Land Title Survey was, as of February 23, 2016, changed to an “ALTA/NSPS Land Survey”. 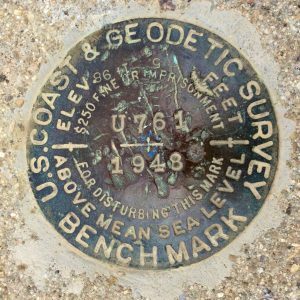 In 2012, the American Congress on Surveying and Mapping (“ACSM”) merged into the National Society of Professional Surveyors (“NSPS) and, in early 2016, the NSPS published revisions to survey standards. As a result, the survey standards we now use and which we should be referencing are the “2016 Minimum Standard Detail Requirements for ALTA/NSPS Land Title Surveys”. Optional Table A has changed and it now consists of a list of twenty “Optional Survey Responsibilities and Specifications”. In practice, survey orders typically include a request for Table A items, although it may be easier now to just ask for “all Table A items except . . . .”. It is no longer mandatory that adjoining property owner’s names be shown on the survey; that is now an optional Table A item. Table A used to include the option of having the current zoning classification or setback requirements or height and floor space area restrictions shown and the surveyor appeared to be the one responsible for researching that information. Now, if that information is to be included on the survey, the surveyor must be furnished with a zoning report. As far as depicting wetlands on a survey, revised Table A calls for the client to engage a specialist to provide the delineation for the surveyor. Otherwise, the surveyor is not required to show wetland boundaries. The prior Table A had a pre-printed option that would require the surveyor to show or place survey markers at off-site locations where an easement or some other type of servitude benefitting the property being surveyed was located. This has been deleted from the 2016 Table A but it can be added at the end of the list on the blank lines. Of course, the off-site property owner needs to agree that the surveyor can enter that owner’s property for this to be done. The survey needs to show the record description of the property and, if a new description is created as a result of the survey, that new description also needs to be shown. With the 2016 changes, however, a note is to be included on the survey stating (1) that the new description describes the same property as the record description or, (2) if it doesn’t, an explanation of the differences between the two. As part of the fieldwork, observed evidence of utilities used to be optional Table A item 11(a). Now, showing the observed evidence of utilities on the survey is mandatory.